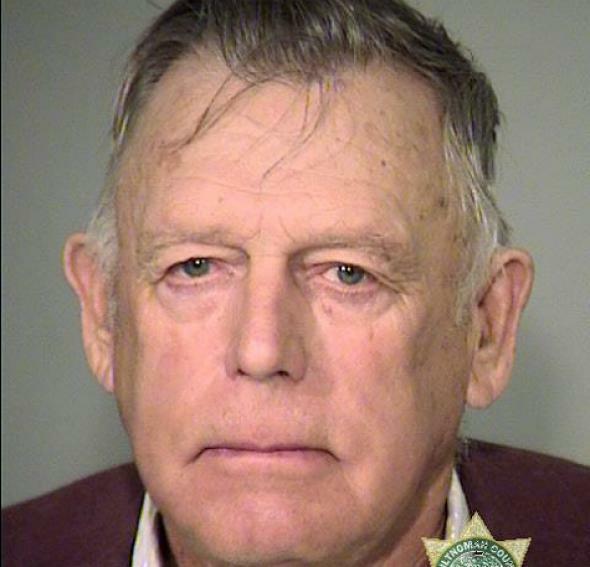 Cliven Bundy indicted by Nevada grand jury. Cliven Bundy in a handout photo provided by the Multnomah County Sheriff’s Office. The indictment states that the charges result from a massive armed assault against federal law enforcement officers that occurred in and around Bunkerville, Nev., on April 12, 2014. The defendants are alleged to have planned, organized, and led the assault in order to extort the officers into abandoning approximately 400 head of cattle that were in their lawful care and custody. In addition to conspiring among themselves to plan and execute these crimes, the defendants recruited, organized, and led hundreds of other followers in using armed force against law enforcement officers in order to thwart the seizure and removal of Cliven Bundy’s cattle from federal public lands. Bundy was arrested last week in Oregon after flying to Portland with the apparent intent of traveling to the area of the armed protest at the Malheur National Wildlife Refuge that has since ended. His sons Ammon and Ryan were also taken into custody during the Malheur occupation, which they were involved in leading. The elder Bundy was denied bail earlier this week when a judge ruled that he was a flight risk and a potential threat to the community. The most serious charges against him carry maximum prison sentences of 20 years.